Dr. Martin “Marty” Pollio assumed the role of acting superintendent of the Jefferson County Public School (JCPS) District on July 2, 2017. He was named JCPS Superintendent on February 11, 2018. For 20 years, Dr. Pollio has dedicated his career to serving the students of JCPS. He is a longtime administrator and educator whose focus is improving culture and climate across the district, increasing student achievement, and implementing deeper learning strategies to make lessons come alive for students and teachers. Dr. Pollio began his career with JCPS in 1997 as a social studies teacher at Shawnee High School. He went on to serve as a teacher and assistant principal at Waggener High School before taking the helm as principal of Jeffersontown High School from 2007 to 2015. 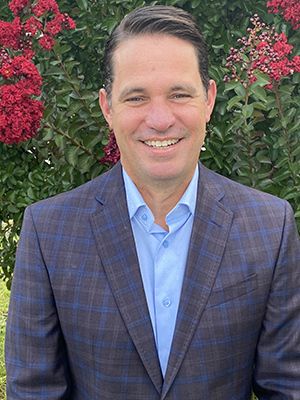 Dr. Pollio was the principal of Doss High School when he was selected as the acting superintendent. Dr. Pollio and his wife, Jessica, are the parents of one daughter, who is a JCPS student. Urban League/ Metro United Way Forum: Dr. Pollio’s presentation from the August 9, 2018 meeting.